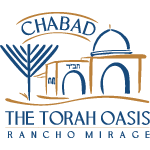 As we are preparing for the high holidays, Chabad of Rancho Mirage is once again putting together our Annual Yizkor Memorial Book, which will be used 4 times a year during our Yizkor services and will be yours to keep after Yizkor (on Shavout). You now have the opportunity to fulfill the Mitzva of remembering your departed loved ones and giving Tzedakah in their merit. Listings will be uniform, alphabetically by contributing family. Each name will represent a donation of Chai ($18.00). As in the past several years, we will be using the same new beautiful design in full color, with each set of names in an individual box. There is no charge for any name that has already been included on the Yizkor Memorial Board in our Shul. Please fill in the information below regardless, so we can ensure correct listings, espcially the secular year of passing. (If you have already submitted this and it is correct, you may click below) Click here for information on obtaining a perpetual plaque on our Memorial Board. There is a 15% discount on plaques ordered until August 27, 2018. Please include the information I submitted last year. It is all correct.